Manchester Marketing Mentors – becomes #fasterclass thanks to Justaxi – Manchester’s taxi comparison app. Last night, April 30th, BIG things happened. Not just Facebook’s series of announcements ar ound their new mobile ad platform but also on a slightly smaller stage Manchester Marketing Mentors – Chris March, James Welch and Dan Sodergren – spoke at a new type of event called #fasterclass. Sponsored by Justaxi more than 30 people attended the event to learn about cutting edge marketing practices and social networking theory. With sponsored taxis picking them up from Manchester, dropping them off at the secret venue and then free food and drinks provided, the #fasterclass event proved to be a HUGE success. The event which is a first of it’s kind now called #Fasterclass was a nice idea I had sometime ago to change the way that entrepreneurs think and how and when they meet up. We wanted to make something which would be a logical extension of Manchester Marketing Mentors, a place to get both Mentors and Mentees, start ups and established businesses, marketing thought leaders and speakers together in one space. Chris Marsh, from UKFast started off as the networking speaking, talking about a subject that he loved and is passionate about – the whole idea of networking without networking. How you can network without mentioning work, how you can create relationships WITHOUT trying to sell to the people in the room. 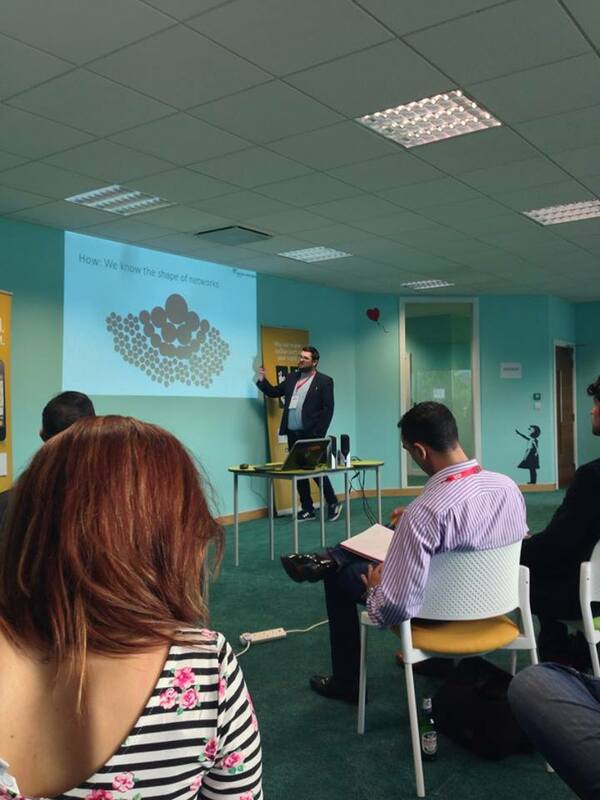 James Welch from Online Venture Group took this a stage further and explained the science behind networking – not the practice, but the theory of what to do strategically, as he put it “What to do if you are not as gifted as Chris”. Which was a nice tou ch. But why did Justaxi sponsor this event with money off taxis and £20 promo codes for speakers and attendees? It is all to do with their belief in Manchester’s tech start up scene and the marketing direction of supporting the new wave of talent in Manchester as well as standing out from the crowd and doing something different in a nice way. Which was the core topic of James Welch’s talk about networking and how to take over a city as he put it how to “Ruffle feathers (nicely)” and through sheer hard work and relentlessness of action with great service and just being genuine, naturally take over a city. “I wanted to share my thoughts with fellow marketing people and to test out justaxi.” He also realised that “Some events like this can be dry and devoid of information – #fasterclass was the exact opposite”. You can see his extra comments on his blog here. And this is what was needed in Manchester, an event, hosted in a wonderful, inspiring space, which represented Manchester and brought a few of the Manchester digital and non digital creatives together. So after people were allowed a sneaky peak at the UKFast building and the amazing stuff they are doing there, I hoped to show how timing and digital marketing creates GREAT marketing. Which allows my clients at Justaxi to keep increasing revenue and downloads whilst also decreasing their costs – which is pretty unheard of in marketing terms. 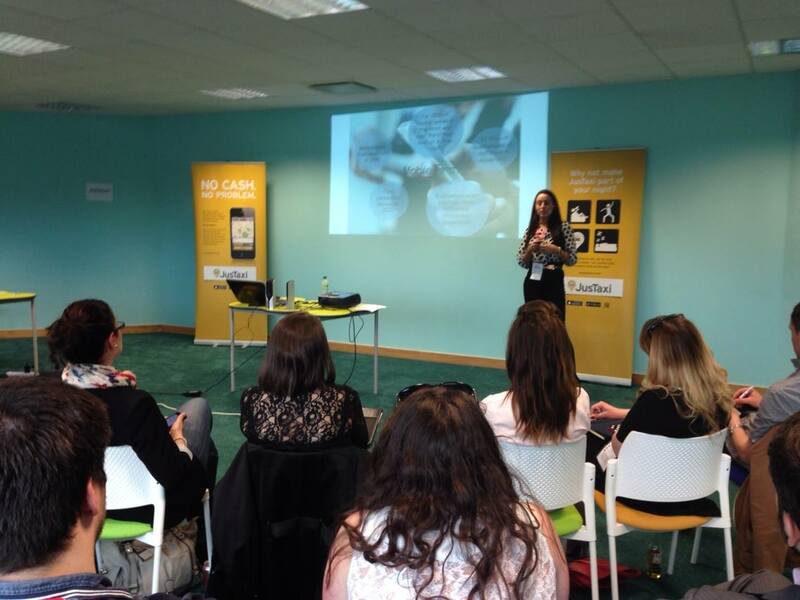 Sabine finished the first ever #fasterclass event, just after the attendees downloaded Justaxi and booked taxis home, with an great talk on the power of mobile and the role of it for all businesses. Which brought in the ideas of, wearables the mobile of the future, in car augmented reality, IOE integration, iBeacon technology and businesses using apps to improve their internal processes and cut down costs – which was great news as Justaxi is bringing out a corporate account part to it’s taxi booking business in the near future which would fit this model. Whether or not people came by tax i, saving money with Manchester best taxi app Justaxi, was not the point. A lot of people left in taxis – after the drinks courtesy of UKFast. And as the were happily sponsored home thanks to Justaxi. It was a great event, with a great reaction from people to it covered by the hashtag #fasterclass. The event is one that myself, with Justaxi am happy to support again. This entry was posted in Uncategorized and tagged #fasterclass, data:text/mce-internal, imgidi-1497classwp-imagealignrightsrchttp//greatmarketingworks.files.wordpress.com/2014/05/dan-at-fasterclass-event-talking-2.jpgw590altImagewidth262height346data-filenamedanatfasterclasseventtalking2, justaxi, justaxi manchester, manchester by Dan 'Great Marketing Works' Sodergren. Bookmark the permalink.